We’re living in a visual world…now more than ever before. Virtually everyone is walking around nowadays with a smart phone camera in their hands taking photographs and videos of nearly every aspect of their lives for sharing across numerous social media platforms. People’s perceived value of a quality photograph has been diluted because of this reality. It is in the best interest of every magazine editor, every art director, every advertising or public relations professional to put the best quality imaging out there to represent their brand. Another sign of the times is that most publications and internet sports reporting outlets do not have it in their budgets to maintain a staff of specialty photographers and pay their expenses to travel to racing venues around the globe. That is where photographers like myself fit in. I have photographed an incredible assortment of motorcycle and automobile speed contests and have become proficient in every one of them. Versatility. I have covered national events on The NHRA Mello Yello Drag Racing Series. I have covered events on The Loudon Road Race Series calendar. I have covered The Pirelli World Challenge sports car racing series. I have covered the Championship Cup Series motorcycle racing events. I have covered the IMSA WeatherTech and Continental Tire Challenge series. 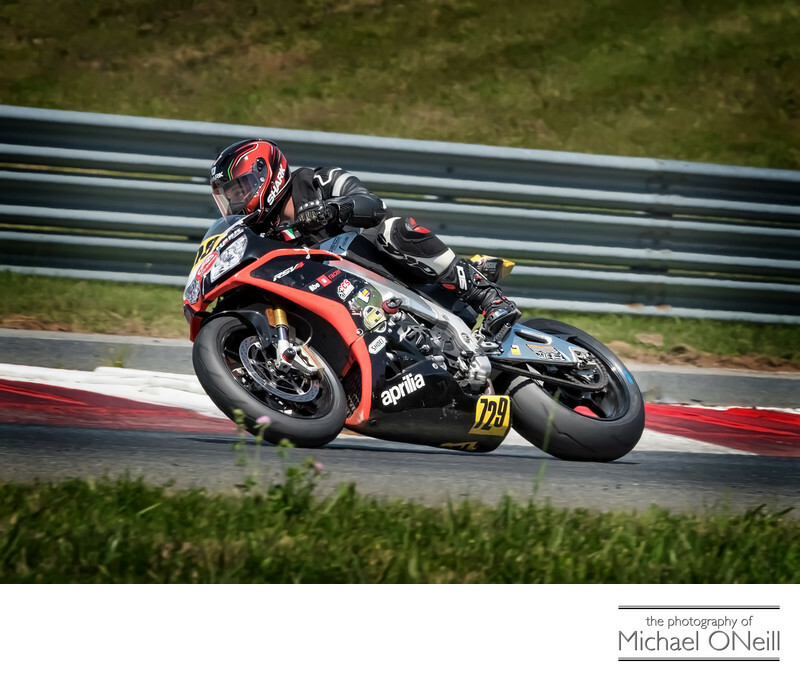 I have photographed MotoAmerica motorcycle road racing events. Logistics. My Long Island, New York studio puts me within a few hours drive of New Hampshire Motor Speedway (NHMS), Watkins Glen International. Thompson Motor Speedway, New England Dragway, Raceway Park in Englishtown, NJ, Atco Raceway, New Jersey Motorsports Park (NJMP), Unadilla MX Park (Home of the Lucas Oil MX Series), Maryland International Raceway and Maple Grove, PA. Extend an extra day for travel and I am within a day’s shot of Virginia International Raceway (and most other Mid Atlantic racing venues) as well as Pittsburgh International. Deadlines. I carry a powerful laptop computer to all of my assignments and generally produce a number of representative fully retouched and enhanced images from each event within hours after the event’s end. A full gallery of images will be available for your viewing within 24-48 hours of the event’s conclusion. When extreme deadlines must be met I even have the capacity to transfer pictures wirelessly from my cameras to my smart phone and can get them to you virtually instantaneously. Teamwork. I am a team player and I welcome the opportunity to collaborate with you on your next motorsports racing assignment.